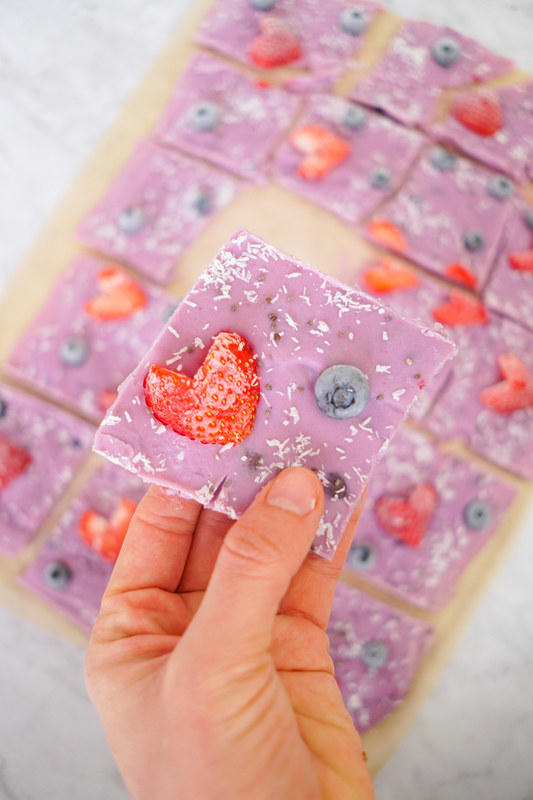 This easy vegan berry yogurt bark is made with two ingredients – Daiya plant-based, dairy-free Yogurt Alternative and fresh berries. 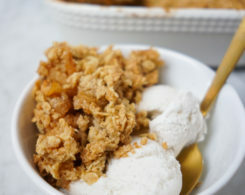 It’s a simple, delicious snack for kids and adults! I’ve always thought yogurt “bark” was such a genius snack idea. It’s so simple and simultaneously way more exciting than just eating yogurt straight out of the cup. 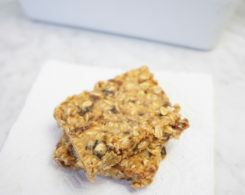 Plus, it’s really pretty – a major criterion when making snacks for kids or holiday treats. 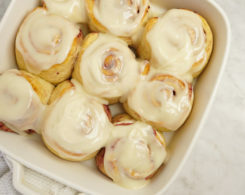 With Valentine’s Day on the horizon, I wanted to create a yummy snack/dessert that would be as eye-catching as it is delicious. 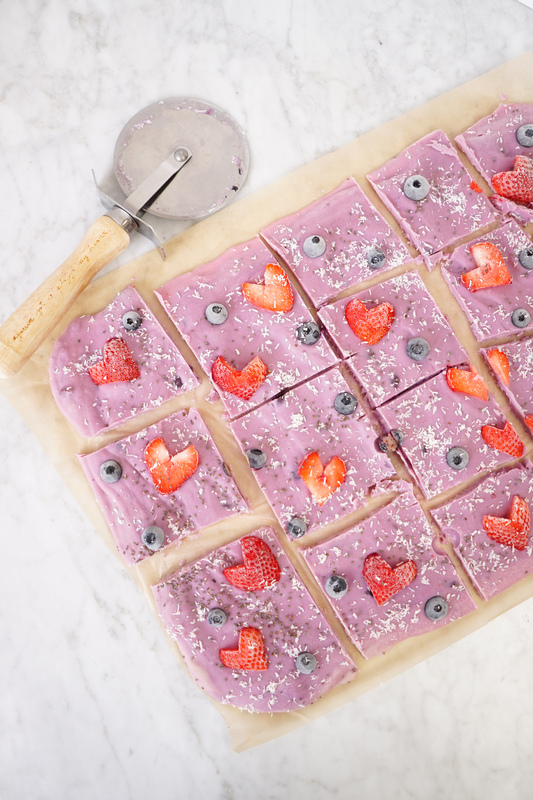 This vegan yogurt bark is made with Daiya’s NEW plant-based, dairy-free Yogurt Alternative. Daiya listened to fans and reformulated their old yogurt alternative recipe to create this new ultra-creamy, coconut-based product that contains 6 grams of plant-based protein per serving. Plus, the fruit varieties only have 9 grams of sugar – that’s way lower than other brands on the market (even the ones made from cow’s milk). Daiya actually conducted a survey recently and found that while most consumers prefer fruit-flavored yogurt, they’re also concerned about the amount of sugar in their yogurt. And for good reason – some flavored yogurts out there have up to 20 grams of sugar in a single cup! That’s not good for anyone, especially kids, which is why I love this new product. 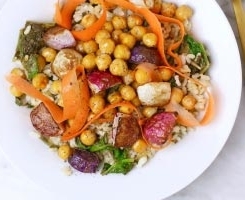 They’re also an excellent source of calcium, vitamin B 12, and a good source of vitamin D – all of which are important nutrients for kids, especially those that are plant-based. To make the bark, I mixed together three flavors – Black Cherry, Blueberry and Strawberry – for a super berry swirl of yumminess. Although the yogurts have pieces of real fruit mixed in, I added more fresh fruit on top – blueberries and strawberries cut into heart shapes. FYI – you can use frozen berries to decorate your bark instead if you like (it’s just easier to cut the strawberries if they’re fresh). As you know from my YouTube video, there’s no difference nutritionally between fresh and frozen produce. I also topped my bark with chia seeds and coconut flakes for extra pizazz, but you can really add any toppings you like. 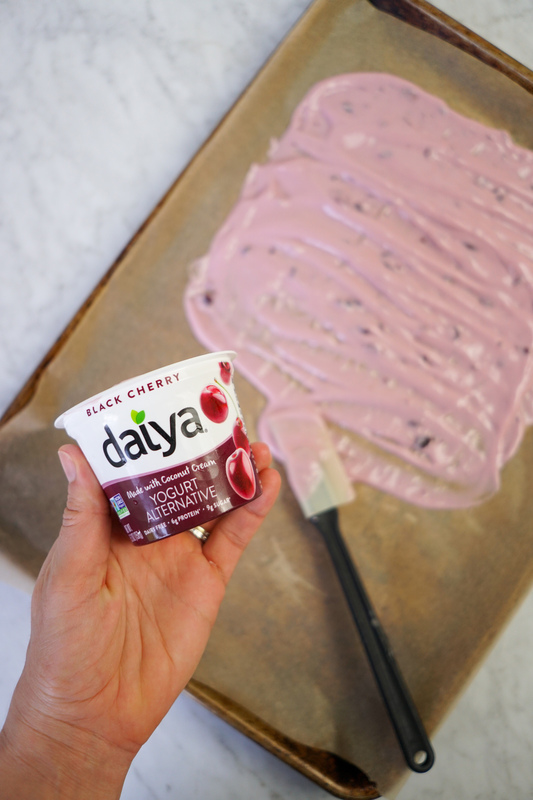 At only $1.99 a cup, Daiya’s new Yogurt Alternatives makes this a totally affordable recipe that will wow kids and adults alike! 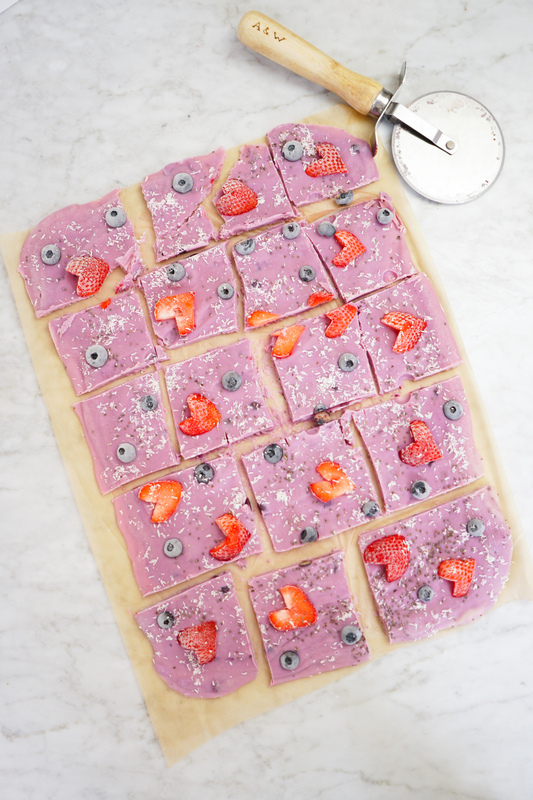 This 2-ingredient vegan yogurt bark is made simply with dairy-free yogurt and fresh berries. A great snack for kids and adults alike! 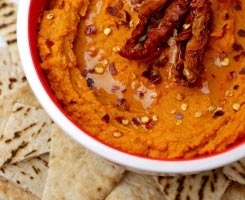 Spread yogurt out in a thick layer on parchment paper. 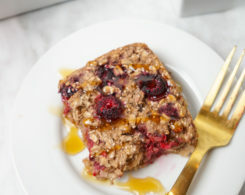 Add berries and any other toppings. *As mentioned above, I used the Black Cherry, Strawberry and Blueberry varieties but the Yogurt Alternative also comes in Peach, Vanilla and Plain. 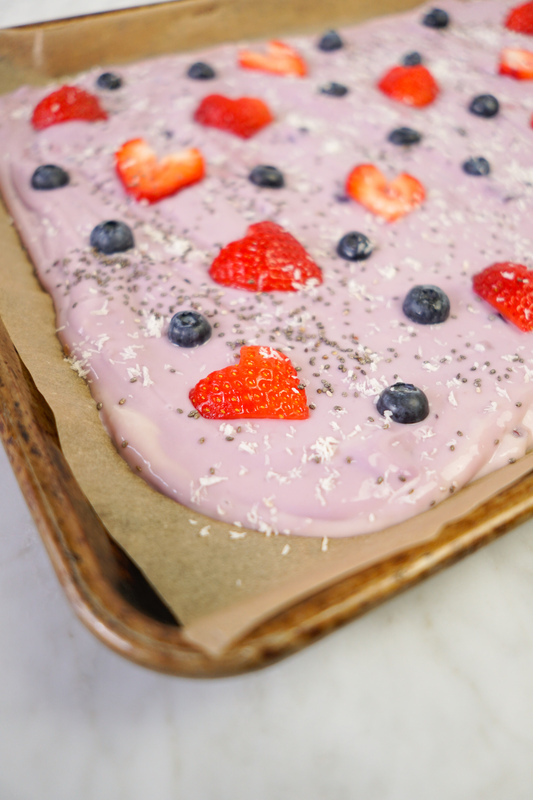 Weigh in: Will you try this vegan yogurt bark? *This post is sponsored by Daiya but all opinions are my own. I thank you for your support of Whitney E. RD-approved partnerships that make this website possible. FYI – I will never partner with a brand whose products I wouldn’t use, eat, or serve my family.